Refractometer – J57TPN for Hospital Pharmacies to monitor IV Therapies and controlled substances. The Rudolph Research J57TPN refractometer is intended for use in hospital pharmacies and Compounding Labs to monitor the quality of parenteral nutrition mixtures, Intravenous therapy (IV), and ensure compliance with USP<797>. It is also useful in preventing the diversion of narcotics, and other controlled materials. The J57TPN pharmacy refractometer provides a fast, easy to use way to check on materials returned from the operation theatre or incorrectly issued from the pharmacy. 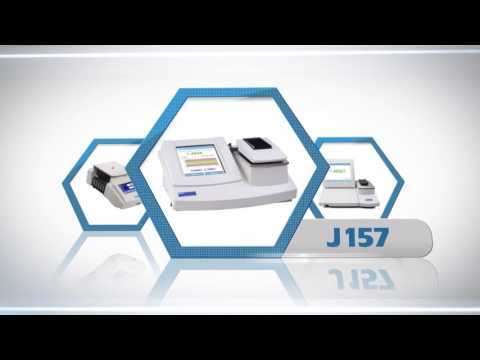 The J57TPN shares many features with the entire Rudolph Research Refractometer Product Line. The first decade of the 21st Century has seen dramatic changes in health system pharmacies. New regulations such as USP<797> are forcing compounding pharmacies to do quality checks that were previously only required of pharmaceutical manufacturers. The J57TPN refractometer from Rudolph Research Analytical is specifically designed the so the hospital pharmacy can comply with this new regulatory environment. The J57TPN also doubles as a refractometer to monitor potential drug diversion issues. Ever more strict laws mean a health system must be aware of what is happening with controlled substances. Measuring hospital operating theater returns and similar movements of controlled substances can be a key part of an organization’s policy on meeting these laws. 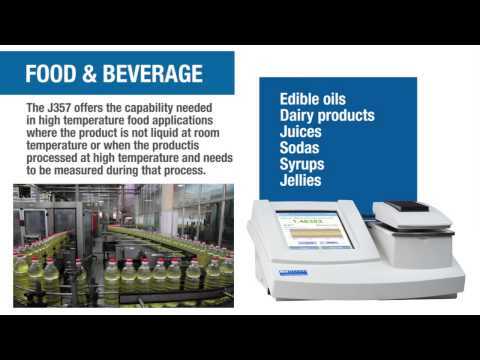 The Rudolph J57TPN refractometer features a fully automatic measuring system. The operator simply places the sample on the prism, presses a button and the result is displayed on a 7.5cm x 10cm back-lit digital LCD screen. There are no shadow lines to match and there is no eyepiece requiring operator determination or manual adjustment. The J57TPN has built-in comparison and calculations for fast and accurate measurements of substances. 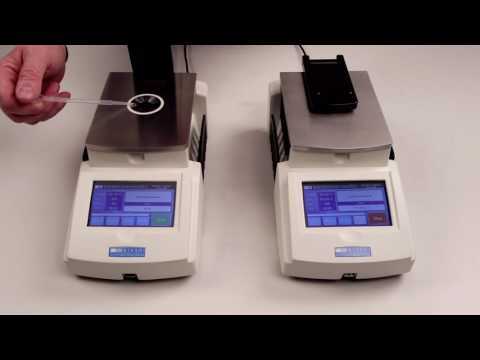 The user enters the % Dextrose and % Amino Acid and the refractometer will display both the calculated and measured result, making it easy for an operator to see if the material is within specification. Refractive Index (RI) is a temperature sensitive property. For many years pharmacies largely ignored this fact or used sugar based temperature correction. Pharmaceutical manufacturers who were constrained by USP guidelines were not able to ignore this as USP<831> clearly states that they had to measure at a controlled temperature, generally 20°C. Now that pharmacies are under similar pressure, temperature sensitivity also must be considered. Fortunately with the J57TPN, old style circulating water baths are a thing of the past and sucrose based mathematical approximations are not needed because of the instrument’s built in electronic heating and cooling which ensures the sample is measured at 20°C every time. In the modern pharmacy, making a test is not enough. The pharmacy has to prove not only that they performed the test, but who did it, when they did it, and if the instrument was correctly calibrated. The J57TPN MMC helps with this by providing full electronic records of every measurement, in line with US FDA Regulation 21 CFR Part 11. As well as making a system much easier to use, the MMC option can also assist by enabling a pharmacy to avoid locating printers in a clean room, something that is always difficult to manage under USP<797> guidelines. An Easy to Use, Easy to Clean Rudolph Refractometers. The sample area is flat and extremely easy to clean. Having just a few buttons and only pharmacy specific options makes operation simple and straight forward. Its low profile design is ideal for use in a biological cabinet. L: 15.5" W: 10" H: 4.5" / 23 lbs. L: 26" W: 21" H: 16" / 30 lbs.